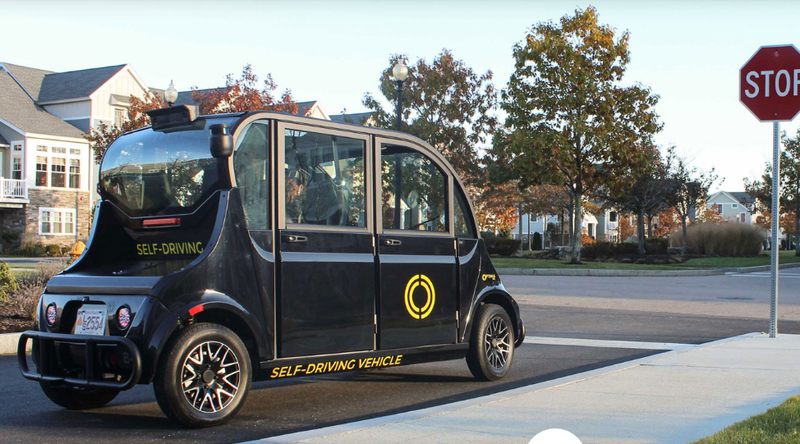 Self-driving cars could be coming to Arlington, Mass., soon, as the Board of Selectmen have agreed to allow Town Manager Adam Chapdelaine to take the first steps in bringing autonomous vehicle tests to town. Chapdelaine has been writing a memorandum of understanding with the state’s Department of Transportation, which would allow self-driving car companies to apply to do their tests in town. “We get to be not of the bleeding edge, but on the cutting edge,” Chapdelaine said, adding that early adoption would help the town get ahead of the curve on policy changes that the new technology would require. “The future is coming, so I think it’s best that we think about this at least, because it’s going to come into our laps at one point or another,” chair of the board Joe Curro said at the Jan. 8 meeting. Exactly how each self-driving car works depends on the manufacturer, but Scott Smith, Operations Research Analyst at the Volpe National Transportation Systems Center, broke it into three steps at an educational forum at Town Hall in November. Smith said the first step was gathering information. Using a variety of sensors, the vehicle makes a map of its surroundings. Image processing is step two, which Smith compared to what your brain does with information from your eyes. Figuring out that the thing passing in front of you is a pedestrian, or that he gray block to your right is the curb. And in step three, Smith said the vehicle needs to use that information to make an intelligent decision about how to move. Currently there are two self-driving companies testing in Boston’s Seaport District: nuTonomy and Optimus Ride. But Chapdelaine said it was still too early in the process to know which companies Arlington would be working with once they open the applications. Interested companies will have to submit both an application and a test plan for approval before their cars can take to the roads, Chapdelaine said. For the time being, the test plans will restrict approved vehicles to mostly main roads, according to Chapdelaine. “We haven’t had enough of a dialogue about this yet,” Chapdelaine said and made it clear he would want to get support from those impacted before putting the cars on smaller streets. Ultimately though, Chapdelaine said he doesn’t think residents should be worried about having driverless vehicles on their streets. Chapdelaine added that, after some research, one of the major benefits to adopting self-driving cars was the added safety. A report from the National Highway Traffic Safety Administration shows that 94% of all accidents are due to human choice or error, so eliminating even a fraction of those mistakes could greatly improve safety on the roads. There are still legal hurdles to come with autonomous vehicles; determining how ownership would work, liability in the event of an accident, and so forth, but Chapdelaine said early adoption of driverless cars could help the town get ahead of those issues.